MDDHosting and SiteGround are popular options when it comes to hosting, and making a decision between the two can be difficult. This comparison aims to make things easier for you. MDDHosting (read my full review) is a relatively small private hosting company which was founded in 2007. Its headquarters is currently in Indiana, and its data centers are in Denver, Colorado. What has made MDDHosting so popular is its straightforward approach to high-quality hosting and reliable support along with a plethora of hosting services. SiteGround (read my full review), on the other hand, was formed in 2004 and is one of the top-ranked hosting services today. It has its headquarters in Bulgaria and has a reputation for being a cheap shared hosting provider that comes with SSL and CDN along with unlimited bandwidth. MDDHosting primarily uses RAID10 SSD storage. On the other hand, SiteGround uses SSD disks for its shared accounts (which include StartUp, GrowBig, and GoGeek), whereas its dedicated servers use SATA disks. SiteGround provides a free SSL certificate called Let’s Encrypt SSL, and the user can issue as many Let’s Encrypt certificates as they need through the cPanel. The free SSL certificate and free integration of Cloudflare’s CDN are very attractive bonuses when it comes to hosting. This means that Cloudflare will cache the content and data on its global servers, which will speed up the delivery of your content and improve the user experience. In contrast, MDDHosting only offers paid SSL certificates according to its shared, reseller, and premium plans, even though free and paid certificates possess the same levels of security. SiteGround provides managed WordPress hosting where it manages the services for updates, security, and support and enhancement tools. It even has an in-house caching tool, the SuperCacher, which is essential for optimum loading speed of the website. While MDDHosting also offers managed WordPress hosting, accounts getting compromised is not uncommon. SiteGround provides a free website builder, which allows the user to freely move elements around the screen with a simple drag-and-drop tool and use many vibrant themes. SiteGround also gives the option of setting up an online store using ready-to-use designs. However, MDDHosting does not possess its own website builder and depends on third parties for this service. MDDHosting provides a 30-day money-back guarantee, which is generally hassle-free and comes with most of its plans. SiteGround also provides a 30-day money-back guarantee, which is exactly what every user wants for their peace of mind. However, the guarantee does not cover renewal orders, domain and ID Protect are not refundable, and the service is only applicable within the first thirty days of the service being activated with SiteGround. It is also to be noted that that cloud and dedicated hosting services are not covered by this guarantee, and you will only get coverage for reseller packages if the entire reseller package is canceled. MDDHosting provides free relocation of the website if the user shifts the site to a different host without any additional fee or tricks. However, with SiteGround, the free website transfer only applies to the GrowBig and higher plans and is valid for only a single website or a complete control panel migration. MDDHosting does provide a control panel and WHM with its hosting services. However, SiteGround’s panel is noticeably more user-friendly and lets you manage the account through a web interface instead of a console. Besides the scheduled maintenance, MDDHosting promises 99.9% uptime guarantee to its customers. Having a data center in Denver, Colorado gives it the perfect environment for ensuring optimum server performance with physical and virtual security. With SiteGround, since its platforms are Linux-based, they are ideal for handling unexpected traffic spikes. SiteGround also has a promised average uptime of about 99.9%. Both MDDHosting and SiteGround offer a variety of packages, but SiteGround has the upper hand here as all its packages are more affordable than their counterparts at MDDHosting. MDDHosting provides customer service through phone, ticketing, and email. Live chat is not available currently. Average response time for a ticket is less than three minutes, and customers have reported a quick and efficient service. SiteGround offers the same customer support platforms with the addition of live chat. It claims to have 230 people who are constantly engaged in customer service, and its customer satisfaction rate is constantly scored at 96%. It takes an average of 11 seconds to connect with the support, despite them processing over 1500 tickets, 800 phone calls and 2000 chat requests in a single day. Even though MDDHosting is new to the game, it has proven to give a good performance with fast loading times and great customer support. Its cheapest price tag is $4, which places it higher than SiteGround at $3.95. Where MDDHosting may claim to provide world-class hosting, SiteGround offers high-end technologies to ensure uptime, speed and server security and has been in the business for a long time. Therefore, SiteGround (Coupon) is the better option as it does not compromise on page seeds, uptimes or customer support. It is also a great option for anyone whose main focus is eCommerce or WordPress where the user would like security to be handled by the best. 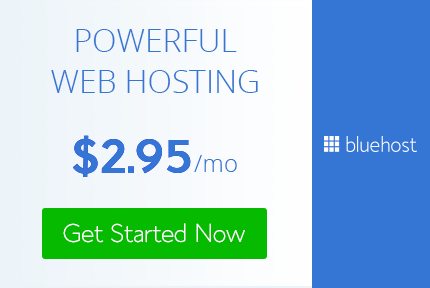 SiteGround also provides better hosting than Bluehost while being just a tad bit pricier. In terms of pricing, it is at the same level as other hosting services which provide much inferior services. Hence, SiteGround is strongly recommended. Previous Post: WP Engine Vs SiteGround: Which is a Sensible Choice?